Describes-in detail-the technology and manipulative procedures for making successful welds in all welding positions, types of joints and metals. Offers hundreds of hints on how to solve every on-the-job welding problem. 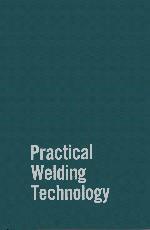 Technology of Welding Arc Behavior. Workpiece-Warping and Weld-Cracking Controls. Welding Sheet Metal. Low-Hydrogen-Electrode Characteristics and Applications. Welding Stainless Steel. Brazing and Welding Cast Iron. Welding Aluminum and Magnesium. Welding Steel Pipe (SMAW). Welding Stainless-Steel Pipe and Tubing. Welding Aluminum Pipe. Build-Up and Hard Surfacing. The Art of Arc and Flame Cutting Metal. Weld-Size Determination. Glossary. Index.